Today something quite poignantly sad is happening in Shepherd's Bush. Blue Peter, the legendary children's TV program will be filmed in the Shepherd's Bush based BBC Television Centre for the last time. It will break for the summer before making it's way up the M1 and M6 to Salford, where the BBC's newly built studios will be Blue Peter's new home from September. They are even building a newBlue Peter garden on the rooftop of the new BBC studios. Though Blue Peter began in 1958 before Television Centre was first built , it is one of the longest running shows to have made White City it's home. It is also a show that was a staple in most peoples' childhoods and though we may not watch it any more (I wouldn't know any of the current presenters if they spilled a pint over me in the Defectors Weld) it is a comfortable cultural reference we take for granted as also being in kids' lives today. If I'm honest it has made me realise how real this move to Salford is, even more so than when the BBC announced at the beginning of this month that the had put Television Centre up for sale. Though at the time I did quickly scan my current and savings account balances to see if I could make an offer. I couldn't, unless a garden gnome in the Blue Peter garden is up for sale. 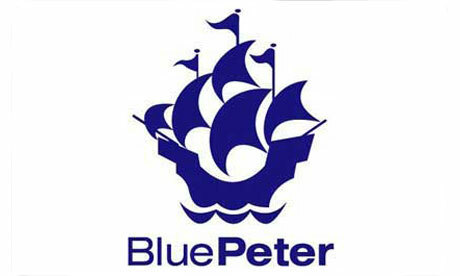 So, goodbye Blue Peter! Thank you for making Shepherd's Bush your home for the last 50 years and a personal thank you for the how to make a Tracy Island guide, which kept my brothers and I busy and messy for many hours. Memories, memories.. buried time capsules, the DIY Tracey Island, the delicate BBC 'explanation' of the sacking of Richard Bacon, the numerous Blue Peter dogs, and the two cats 'Kara' and 'Oke' (you can guess my age from all this) and of course the Blue Peter Garden which you can apparently see from the right vantage point somewhere in Shepherd's Bush. And the pet I can remember best is Shep, the sheepdog, which dates me too.